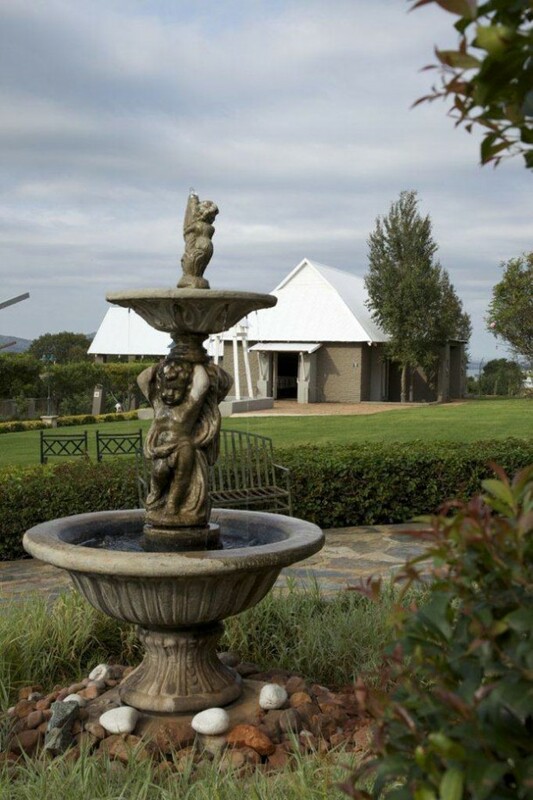 Come take your marriage vows in this newly built ‘state of the art’ chapel that arises above the terrace between the mountain and the breathtaking mass of water from the Hartbeespoort Dam. Or if you prefer a fresh, open air wedding, our garden gazebo will provide you with a memorable panoramic view of the natural surroundings. After the ceremony, the romantic English gardens – complete with terraces, fountains and benches – are the perfect backdrop for your wedding photos. During this time, your guests can also enjoy the view from the balcony or the gazebo, while having their welcome drinks. 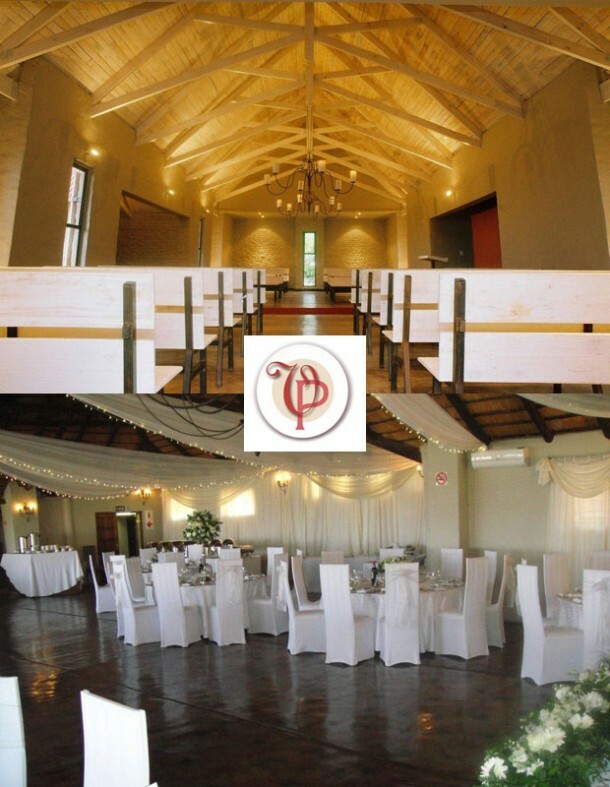 Your reception will be hosted in The Bell Room, a thatched wedding venue set amongst rolling lawns and majestic mountains. This multi-functional venue can comfortably seat up to 180 guests with a dance floor. A private bar and buffet in the venue, will supply your guests with a gastronomic experience. They can also lounge around the warmth of the fireplace in winter months, or on warmer evenings enjoy the breeze on the balcony, while looking over the dam. The function coordinator at Villa Paradiso will assist you with all your planning ahead of the big day, ensuring that this period is as special as the wedding day itself. For more info contact Elma Viljoen on telephone +27 (0)12 253-1848 or on her mobile: +27 (0)82 552-3300 or visit Villa Paradiso for more photos or to send an enquiry.